Dr. Swapnil Patel: Persistent hardwork, undying support from family & friends and keeping my aim always in focus helped me through! Dr. Swapnil Patel: There are countless periods of confidence fluctuations esp. near the end, so my family always supported me through. My friends are a big part of my preparation directly as I believe having a good discussion group is very imp. Dr. Swapnil Patel: My family and my entire childhood atmosphere always promoted me towards the field. Dr. Swapnil Patel: As already said, confidence fluctuations are bound to come and its necessary that they come as they help you push your limits. Dr. Swapnil Patel: Harrison, Sabiston, Robbins, Katzung, Grays. Dr. Swapnil Patel: Amit Ashish and Mudit Khanna last 5 yrs papers are more than sufficient.....doing subject wise objective books especially 1st & 3rd profs are imp..
Dr. Swapnil Patel: Selective intensive study is the better way any day...as the syllabus of MBBS is vast...best strategy is to read only that which you can revise. I have always believed in revision. Dr. Swapnil Patel: Appearing in multiple exams is very imp. ..As u never know which day you will be lucky and which you will not. Dr. Swapnil Patel: I gave emphasis on Anatomy, Biochem, Pharma, Path, PSM, ENT, Opthal & Surgery. Dr. Swapnil Patel: I have always believed in taking my chances...any ques where I can eliminate a single option I attempt the ques in Nov AIIMS I attempted all the ques. Dr. Swapnil Patel: I want to specialize in Neuro Surgery because I have always found it challenging and charming. 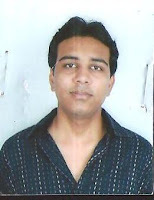 Dr. Swapnil Patel: The faculty of Radio, Surgery & Opthal influenced me a lot. I like the teaching program of DAMS and their test series...I would recommend my juniors to do the foundation course in 3rd prof and test series in internship! !